The 2014 Atlantic hurricane season begins Sunday, and the National Hurricane Center is predicting a quieter season than normal this year. For the six-month hurricane season, the forecast calls for a 50 percent chance of a below-normal season, a 40 percent chance of a near-normal season and only a 10 percent chance of an above-normal season. 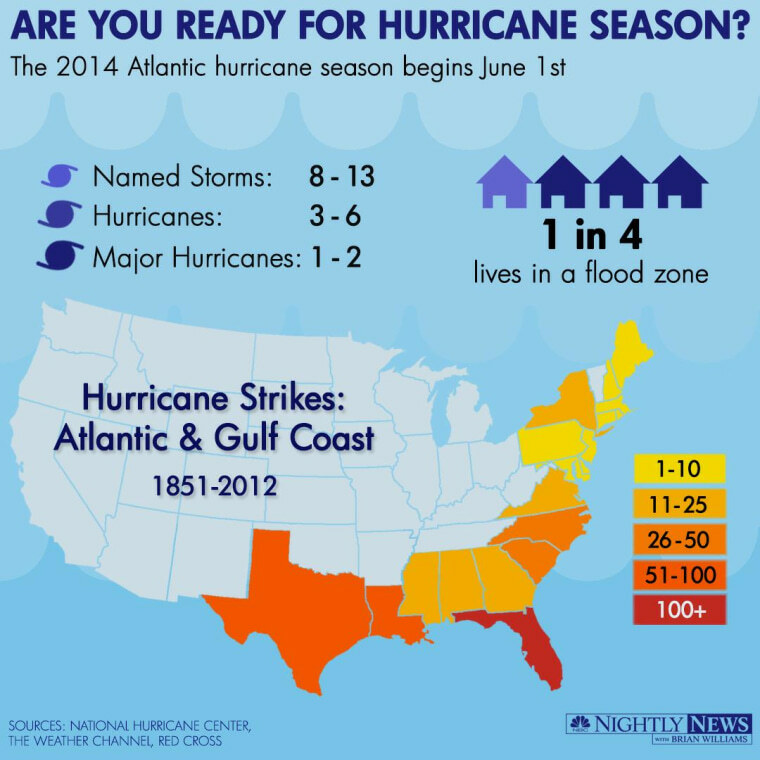 But as most of us know, forecasts are an inexact science, and coastal residents are urged to be prepared. According to a survey by the American Red Cross and The Weather Channel, one in four residents in the Atlantic and Gulf coast regions live in flood-prone areas. The Atlantic hurricane region includes the North Atlantic Ocean, Caribbean Sea and Gulf of Mexico.